Dive deeper into the core concepts within exit planning and expand your understanding of the Value Acceleration Methodology™. Learn how a PEG’s charter affects the investments selected by the firm. Learn about PEG Partners and investment process. Learn about the types of transactions selected by PEGs. Review how PEGs value businesses. Learn about the core drivers of valuation multiples. Mr. Kingsbury joined MCM in February 2008. His responsibilities include the execution of investment transactions and management of portfolio companies. Mr. Kingsbury is also responsible for the sourcing of investment opportunities, leading the partnership’s e-marketing strategy, website design, and managing and developing Limited Partner relationships. Prior to joining MCM, Mr. Kingsbury was drafted by the Pittsburgh Pirates in the 8th round of the 2002 Major League Baseball Draft. He spent six years playing professional baseball as an outfielder in the Pirates organization, participated in the 2004 Summer Olympic Games in Athens, Greece, and was a 2008 inductee into the Fordham University Athletic Hall of Fame. 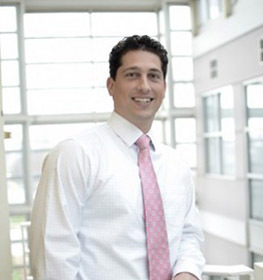 Mr. Kingsbury graduated from Fordham University with a Bachelor of Science degree in Finance.